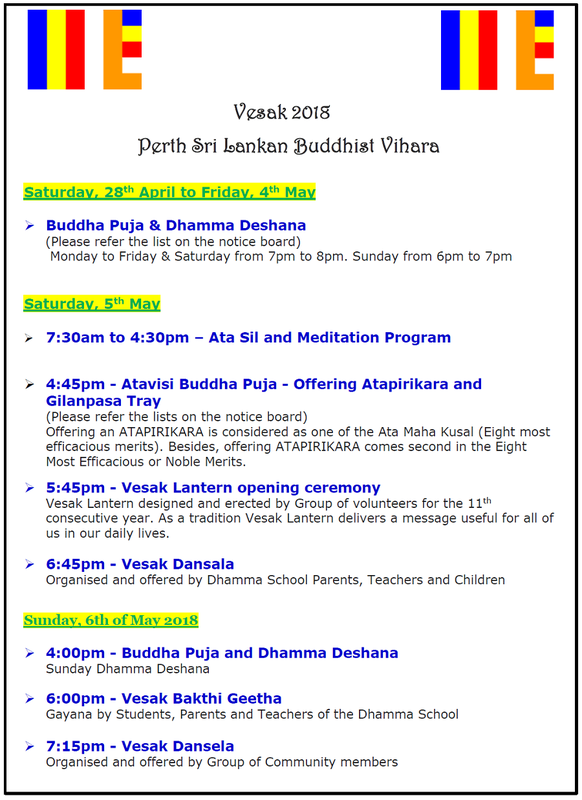 Vesak 2018 – Celebrations at Perth Sri Lankan Buddhist Vihara | Sri Lanka Buddhist Vihara Perth Western Australia | The Temple serves the needs of the Sri Lankan Buddhist community living in Perth and the surrounding area. It’s Vesak once again. Time for us to do lot of meritorious acts. This year Vesak celebration will be held on 5th and 6th of May at our temple. SLSBS would like to take this opportunity to express it’s sincere gratitude to all the Volunteer Groups and Dhamma School parents and teachers for their continuous support and contribution. Please read the below information about Vesak Programme.